You book directly with the accommodation. Search through our hundreds of available beds to ensure the perfect experience for your New Zealand vacation. Experience a New Zealand farmstay, bed & breakfast or exclusive lodge. Relax in a self contained apartment or motel. Indulge in a beachfront resort or a romantic cottage. New Zealand Beds offers you choice. 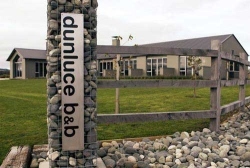 Whether you are looking for budget New Zealand accommodation or top end boutique style accommodation, New Zealand Beds lets you find the right bed at a motel, bed and breakfast, lodge, farmstay or homestay.